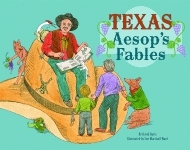 This humorous story with vibrant illustrations appeals to both children and adults. The lively rhythm and colorful vocabulary encourage children to follow along with the story’s repetition of objects, animals, and actions while introducing them to Rock ’n’ Roll. David Davis, known for his keen sense of humor and lyrical style, has written several titles in Pelican’s Night Before Christmas Series, including Redneck Night Before Christmas, Trucker’s Night Before Christmas, and Nurse’s Night Before Christmas. His books Ten Redneck Babies and Jazz Cats were both named to the Children’s Choice Top 100 List. A finalist for the Texas Golden Spur Award, Jazz Cats was also a selection of the Accelerated Reader Program. Davis has published pen-and-ink artwork, cartoons, poems, humor, and short stories in various magazines and newspapers. He won the Mississippi Press Association award in 1996 for his political cartoons. An active speaker and presenter, Davis lives in Forth Worth, Texas. Chuck Galey graduated with honors in graphic design from Mississippi State University and worked with several advertising agencies and public relations firms before opening his own illustration studio in 1985. In addition to his picture books, he has illustrated over thirty educational books, as well as book covers for the R. L. Stine Fear Street series and several Beverly Cleary titles. He lives in Jackson, Mississippi, with his wife and son. Click here to view Sample pages. 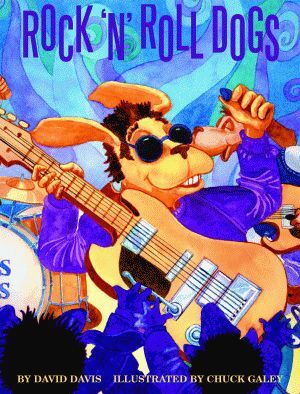 Click here for the Rock 'n' Roll Dogs curriculum guide.